WANTED, A FOOTMAN, who has been accustomed to clean Plate and wait at Table, and can clean Leather Breeches. Apply at Knuston-Hall, near Wellingborough, Northamptonshire. 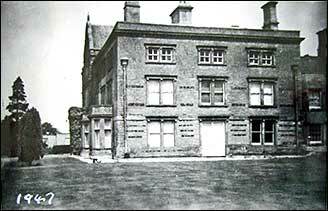 A Capital MANSION HOUSE, called KNUSTON HALL; with wash Houses, Stables, and out Offices of every Description, Gardens, pleasure Ground, and about 30 Acres of prime grass Land adjoining, particularly well watered; and excellent fish Ponds, most pleasantly situated, and in perfect repair, forming a truly desirable Residence for a genteel Family, in a good sporting Country, with for Shooting or Hunting; about 14 Miles from Northampton and Bedford, and within three Miles of Wellingborough and Higham Ferrers. The Leeds Mail and Kettering Coach pass Daily within a Mile of the House. Apply to Messrs. Brace and Selby, 25 Surry Street, Strand, London; or Messrs. Hodson & Burnham, Wellingborough. For a Term not exceeding Ten Years. 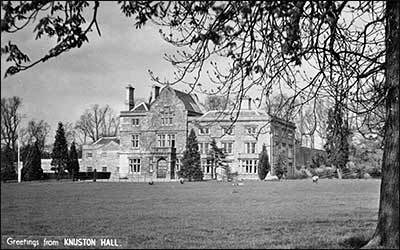 The well-known MANSION HOUSE, called Knuston Hall, near Wellingborough, Northamptonshire. The Tenant will have the use of about 40 Acres of Land, and an exclusive right of an extensive Fishery, and all sporting over nearly 1,000 Acres well stocked with Game. Applications to be made by letter, postage paid, to Messrs. Brace & Sons, 25 Surrey Street, Strand, London; and to George Burnham Esq., Solicitor, Wellingborough, Northamptonshire. Northamptonshire on the borders of Beds. in the parishes of Irchester and Rushden. A most important and compact Freehold Residential Property lying in a ring fence. Comprising the excellent Family Mansion, seated on an eminence, in a well timbered Park, with beautiful Gardens and Pleasure Grounds, and surrounded by 924 A. ON 36P. of highly productive Land, divided into three convenient farms, with newly erected homesteads, producing a rental of about £1,730 per annum, tithe free and land tax redeemed. The Estate abounds in beds of rich Ironstone. One of the most important and truly valuable Freehold Estates in Northamptonshire, known as the Knuston Hall Estate, situate in a famous sporting neighbourhood on the borders of Bedfordshire, four miles from Wellingborough, 12 from Northampton, and 14 from Bedford, within easy access of the Metropolis by the Midland Railway. The Property comprises a commodious and substantially built FAMILY MANSION, exceedingly well placed in a finely timbered PARK of 40 acres and commanding beautiful landscape views. The Pleasure Grounds around the Mansion are laid out with great taste, the Plantations, belts of trees and Ornamental Water forming pleasing features. The Kitchen Gardens are sheltered and well stocked; the outbuildings and stabling compact and well arranged. The Land is of a superior character, well adapted for turnip husbandry and comprises an area of 924A On 36p, lying in a ring fence, intersected by good rods and divided into three compact farms, with good Homesteads, extensive newly erected Farm Buildings and let to highly respectable tenants of long standing. 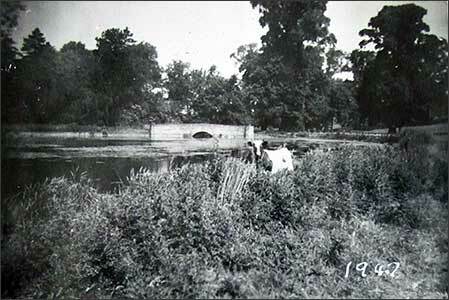 The plantations and coppices throughout the Estate are well arranged for sporting and there is the right of fishing in the River Nene. 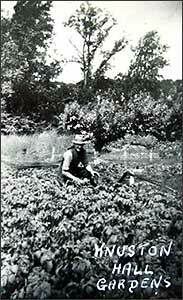 The Estate abounds in rich beds of Ironstone and the ore obtained is considered to be the best yet seen in the county. Several ironworks in the immediate neighbourhood are in profitable working, thus rendering this Estate particularly eligible as an investment and employment of capital. Particulars, with plans, may be obtained of Messrs. Brace and Leathers, Solicitors, 9, Chandos Street, Cavendish Square, London and of Messrs. Chinnock and Co. Land agents and Surveyors, 11, Waterloo place Pall Mall. Robert Arkwright was a great grandson of Richard Arkwright who invented a spinning frame. 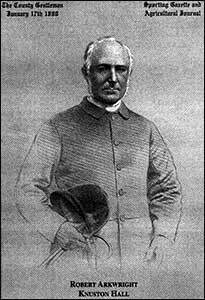 In 1865 he bought the hall and added much. For over 30 years Robert was Master of the Oakley Hunt and he retired in 1885.